This strap uses seatbelt webbing. 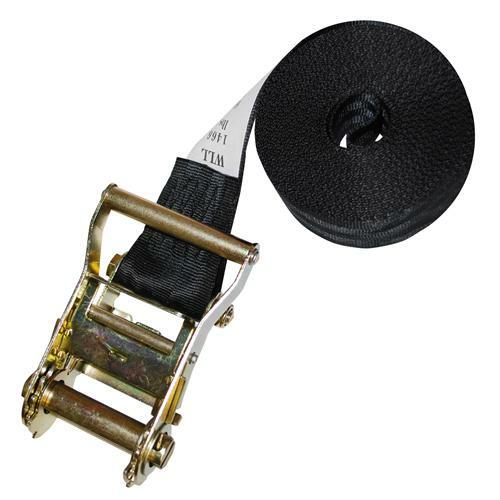 The weave of Seatbelt webbing is lighter in weight than the regular polyester, but still has a 6,000 lb break strength. The combination of strength and resistance to stretching and abrasion make it perfect for strong, durable tie down straps.